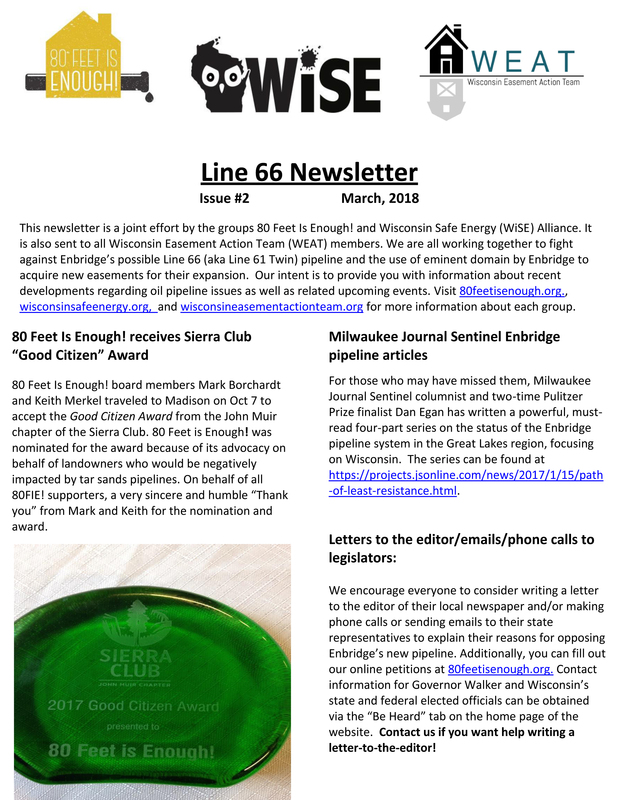 Here is the 2nd Newsletter about Line 66. Please take a few minutes to read what is happening. Click here.